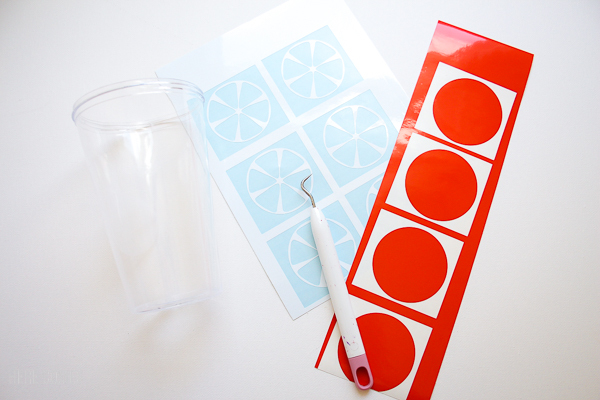 Learn to make these fun DIY tumblers! 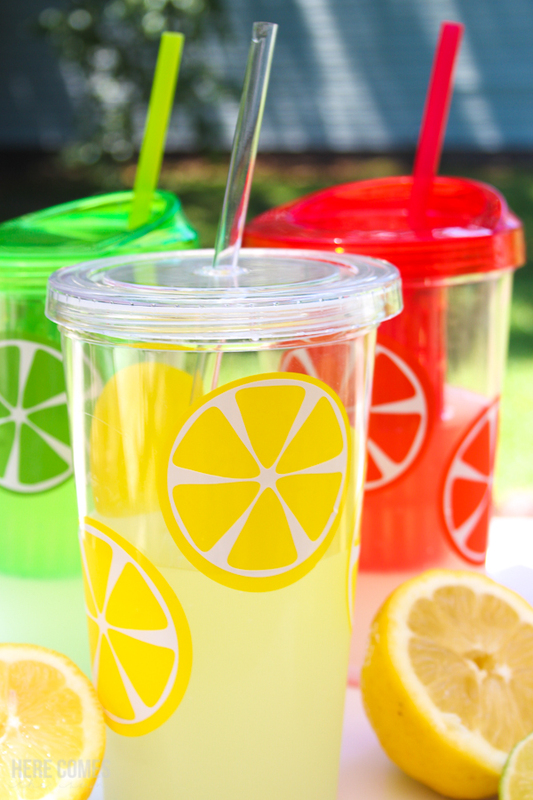 We are in the dog days of summer and one of my favorite things to do this time of year is to sit on our deck and sip a cold frosty glass of lemonade. 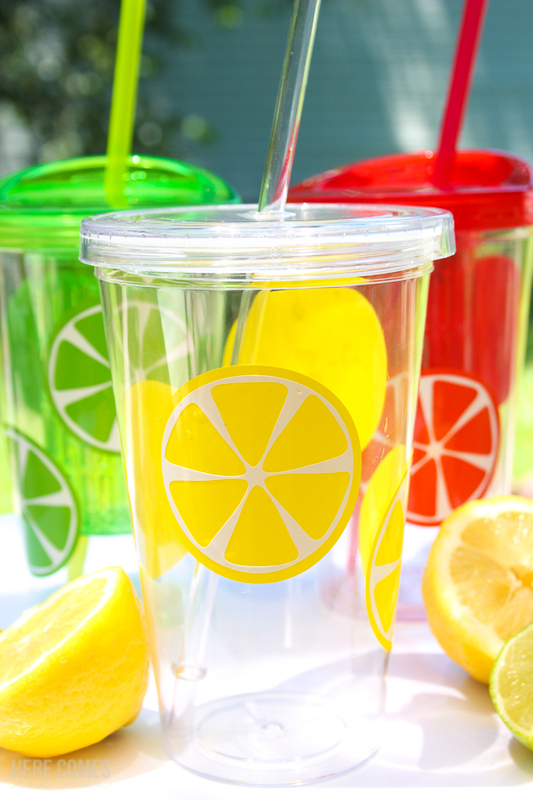 I’ve been busy making lemonade recipes this summer and decided that I needed some fun glasses to go with this tasty beverage. Because every drink looks better if it’s in a cute glass. 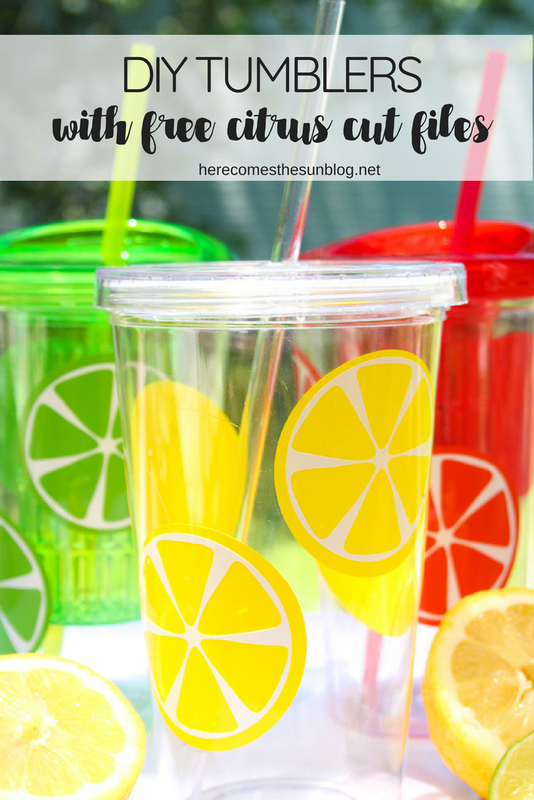 So in order to stick with the summery lemonade theme, I created these fun DIY tumblers using a citrus cut file. 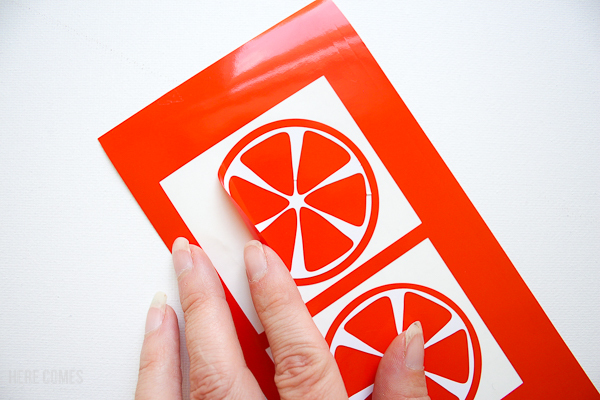 Download the free citrus cut file. You can access it in the resource library, below. This file is for personal use only and will work in any cutting machine that utilizes SVG files. Fill your glasses with a tasty cold beverage and enjoy. 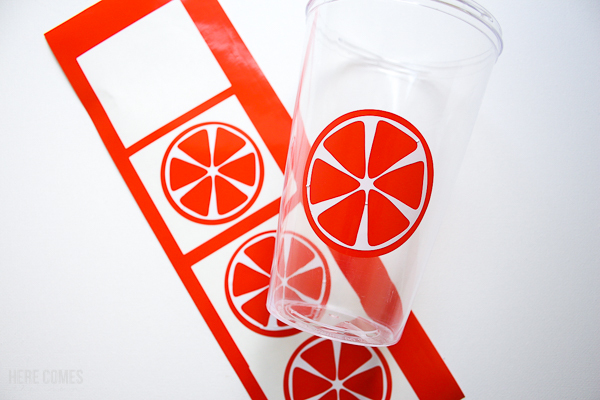 What I love about these citrus drink glasses is that in addition to being bright and fun, they are also unbreakable (which is key in my house). These are the perfect glasses to use for an outdoor party. You don’t have to worry about them being shattered if someone accidentally drops them on a deck or patio. I recommend hand washing your DIY tumblers.